The Green Committee is looking for parents who are interested in being an active part of the school’s efforts to keep KCSMA beautiful and encourage environmental stewardship in the KCSMA community and beyond. If you are interested to be part of the team, please send an email to kcsmagreencommittee@gmail.com. Have a great summer, keep those bird baths full, and reduce your footprint when you can! There will be a PTO executive board meeting at 6:30 pm on Sunday, July 12, 2015. The meeting will be held in the KCSMA media center. All are welcome to attend. Co-Secretaries and a Co-President are needed to serve on the PTO board. If interested in these positions, please email kcsmapto@gmail.com. The duties of the Secretary include taking minutes at PTO executive board and general meetings, preparing correspondence, inputting member info to master file, maintaining master documents, keep the calendar for PTO events, and all other duties assigned. The President shall serve as leader and key contact for the PTO, preside at all PTO meetings, serve as ex-officio member of most committees, appoint chairpersons for special committees, coordinate the work of the officers and committees so that the PTO’s objectives can be met. 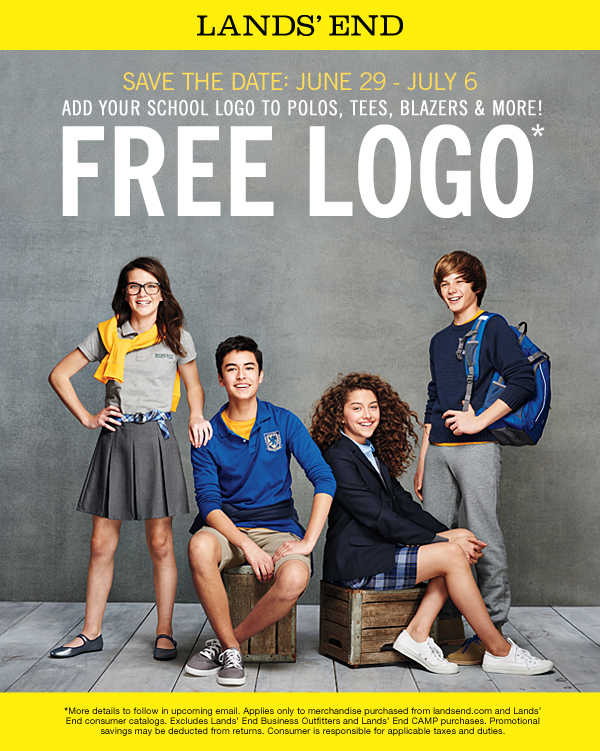 Shop Lands’ End for all your school uniform needs JUNE 29TH – JULY 6TH to take advantage of FREE LOGO application. Remember, Buy 3 or polos, save $3 each (youth) or $5 each (adult)! Mark your calendars—you don’t want to miss out on these great savings! Promo Code and PIN coming soon.